Easter is coming soon and it brings memories of my mom in the kitchen and us gathered around the table sharing memories and family traditions! I can clearly remember my great grandmother who died in 1985, hosting our Easter lunch and stirring the seafood dishes and desserts which would forever imprint a permanent memory of times that will never come back! Their house and farm no longer exists and my grandparents have also passed, but our times together will forever be a part of me – of who I am – of my childhood and life! Brazilian traditional Easter lunch has blended seafood dishes and local flavor, a combination of African, Portuguese and African American influences! My mom has done an amazing job in carrying the traditions and sharing her passion for producing the most mouth watering dishes, time after time, year after year. I can almost smell the Vatapa, an African salty bread pudding, the perfect side dish to the muqueca, a shrimp dish cooked with dende oil. Strong spices and oils make those dishes a great combination to my mom’s potato soufflé, a must have tradition at our Easter table. I have made these dishes since I have started hosting Easter meals at our home, hoping to create memories for my son who did not grow up with his Brazilian grandparents around. So the meal is a piece of home, of our traditions, shared with him and our entire family! When I told my mom I would be sharing her special recipe featured to celebrate 100 years of Pyrex, she was speechless! Pyrex is a household brand in Brazil, a synonym of quality, tradition, beauty and practicality. Pyrex has been used in our family for 4 generations, so sharing our traditions garnished by her favorite brand of bakeware, was a gift I had the pleasure to deliver with this post. No surprise that since 1915, Pyrex glassware has been an American-made kitchen staple, helping countless families bring comfort and joy through cooking. As the Pyrex brand commemorates its biggest and boldest anniversary to date, we are raising our (measuring) glasses to toast to a kitchen icon that has continued to thrive decade after decade, and to its even brighter future. Pyrex is one of the most recognized names in housewares and is a leader in glass kitchenware. The Pyrex team is excited to usher in the next century of innovation, while remaining the trusted go-to workhorse brand in your kitchen with products that serve as prep-ware, bake-ware, serve-ware, and storage. 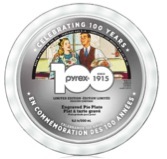 Pyrex is celebrating its 100th anniversary and guess who is sharing their online celebration? We are, and we’ll be joined by dozens of other influencers over the next few months, who will share special recipes with you all! You’re invited to join the party and win prizes with two great options! Entries will be photo submissions on Twitter and Instagram that feature the hashtag #RaiseYourGlassSweeps. There will be weekly prizes, as well as one (1) grand prize winner. Here is my mom’s famous recipe! Cook Potatoes and dice them and place aside. Separate egg whites and yolk, beat egg whites to firm consistency and place aside. Mix potatoes, yolk, milk, butter, cheese, flour, slowly adding all the ingredients, add salt, pepper and ham. 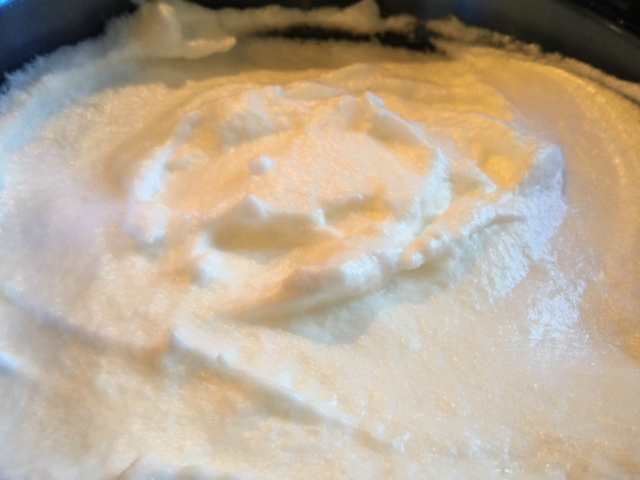 Add egg whites slowly to keep the soufflé soft consistency. Bake on the Pyrex baking dish for 35 minutes or until golden brown. I hope our dish will too, become part of your Easter traditions and can’t wait to hear about your memories with Pyrex! Also, I am very excited to share that Pyrex is releasing two limited-edition product lines to celebrate their 100th anniversary. In an ode to the popular “New Dots” collection of the 1960s, both of the 2015 lines will feature the familiar Pyrex dot motif in a variety of colors. 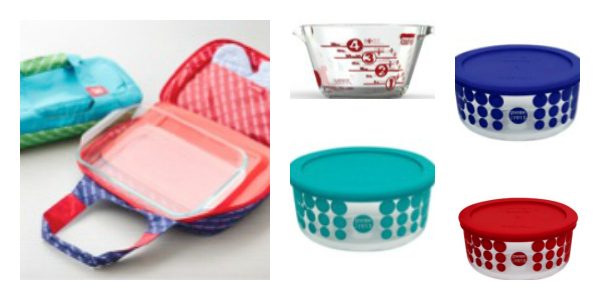 To learn more about the Pyrex 100 product line, visit the Pyrex 100 website. I’ll try…LOL. You know I’m a horrible cook! 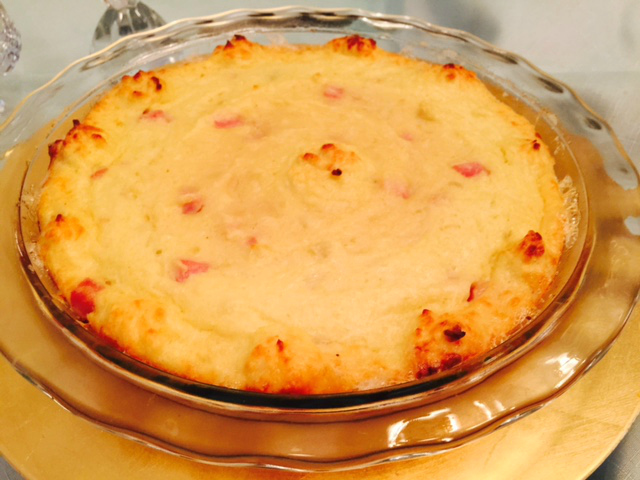 I have to admit I’ve never tried or made a potato souffle but it looks delicious. I have never made this but am going to have to try. looks awesome. That is a very sweet memory! 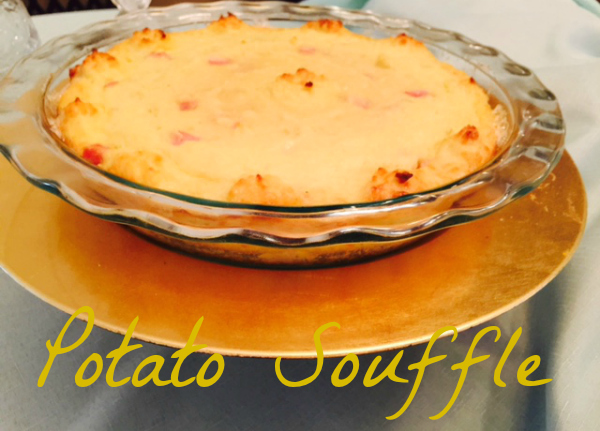 I’ve never made a potato souffle before! But this looks amazing!! This sounds really good! I have never had Souffle! That soufflé sounds delicious! And how wonderful to pass down the traditions of your grandparents. My husband lived in Brazil for two years and has told me lots of amazing things about the food. That souffle looks fantastic! I love a combination of cheese and potatoes, and I also LOVE Pyrex! I ended up being responsible for two different Easter dinner menus. Although I love the idea of spending that much time in the kitchen, I was struggling to find things that felt like Easter but wouldn’t be too repetitive. This sounds fantastic. That looks really good. 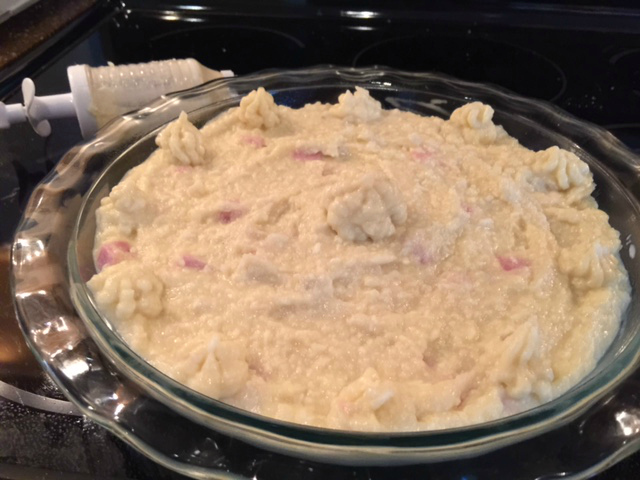 Love the combination of the potatoes ham. That potato souffle sounds so very good! 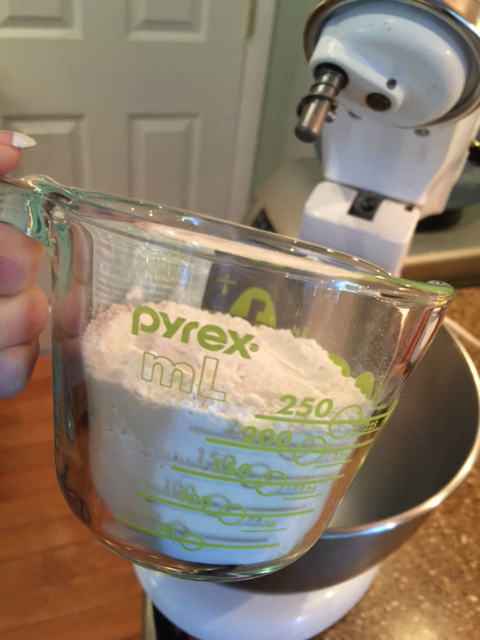 As for Pyrex–it has been a staple in my family for generations! I have several pieces that I use all the time.